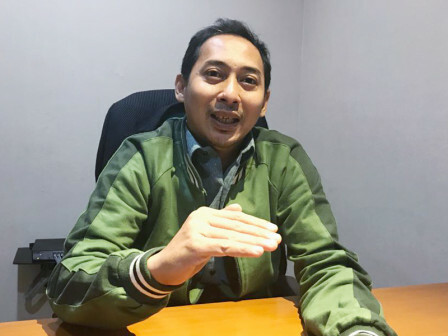 City Council Commission B asked Jakarta Provincial Government to intensify market operation (OP) thus the rise in food prices can be suppressed.
" Our suggestion is to do market operation. If possible, it needs to be done in all market"
"Our suggestion is to do market operation. If possible, it needs to be done in all market," stated Darusallam, Secretary of City Council's Commission B, Thursday (7/19). He also suggested City to make a long-term strategy as an anticipation of rising food prices. "I think it also needs intervention from central government. Because chicken and egg prices are now very high that reach 46 percent due to the influence of rising dollar," he explained. According to him, it needs synergy between SKPD and BUMD to solve this problem. In that way, Jakarta Government could solve the rising food prices in Jakarta. "Moreover, our City Budget is quite high that reaches Rp 77.1 trillion. With that amount, City is supposed to have a large budget to anticipate this problem," he affirmed.